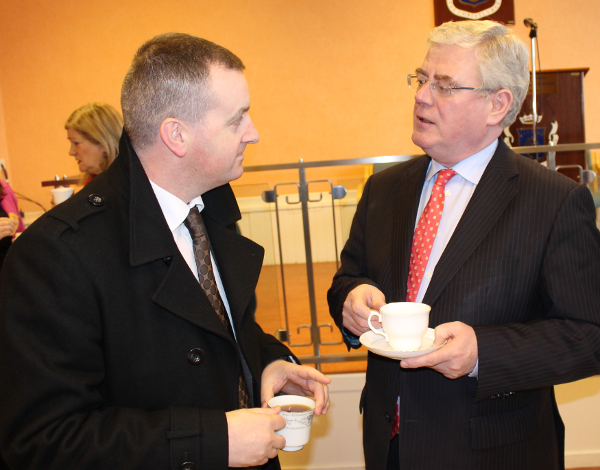 The Tánaiste and Minister for Foreign Affairs and Trade, Eamon Gilmore T.D., launched the new Nursing Home Pilot Programme at St. Mary’s Centre, Merrion Road, Dublin 4. The project is a new employment initiative aimed at supporting disadvantaged jobseekers to gain the skills, experience and qualifications necessary for working within the elderly care sector. Nua Healthcare’s Chief Operating Officer (COO), Noel Dunne and our Community Outreach Manager, Scott O’Reilly, attended the event on February 11th, 2014. Also in attendance was, The Irish Association of Supported Employment (IASE), Nursing Homes Ireland, STEP Supported Employment, the Open Training College, Southside Partnership, St Mary’s Nursing Home and St John of Gods Services.